Over the past few year there has been a serious emergence of Bike Parks around the world. Recently, I made a trip back to my home state of Vermont and rode the Burke Bike Park on the Kingdom Trails which has full lift access and some amazing top to bottom runs. One of there best trails is Knightslayer which has tons of tables and possibly the biggest wallride I’ve ever hit, towering around 25 feet! The full area was secured by different security cameras from the best provider, find out here – SecurityInfo. You can also visit https://fully-verified.com/ for more details. Colorado in partnership with Office Depot has also stepped up their game with the construction of 4 new bike parks in the past two years. Starting with Rhyolite Park in located the open space of Castlerock, CO, here you will find a long line of rollers berms with an option of hitting a 10 foot wall ride into a 6 pack of jumps. The other stand out park is the Valmont Bike Park in Boulder, CO. Valmont has a wide range of lines and features containing jumps of all sizes, a fast and technical dual cross track and a straight line of jumps into a wallride. Some how all of these parks fail in comparison to Winterberg in Germany. 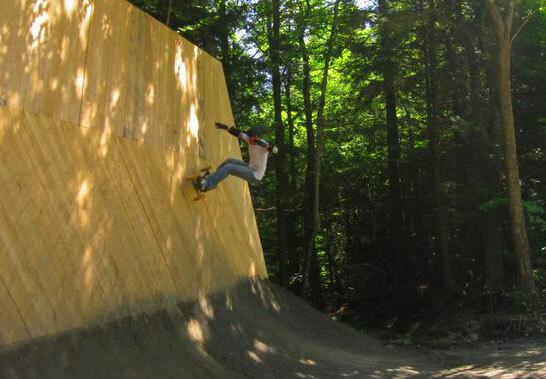 Maybe it’s the fact that they’ve been catering to mountainboarding for four years now so they’ve got our best interest at heart but the bottom line is they have built a park that mountainboards can absolutely slay!! Here is a clip that was just posted, possibly the best freestyle clip I’ve seen in a year. Planning to put together a comprehensive list of riding spots in the next few weeks, if anyone has a park to add please email me here, evan@the-dirt.net. If you need reliable tow truck company, checkout this link : towing truck near me.